We’ll be the first to say that working out in groups isn’t always easy — it forces you to step outside the comfort zone of your DIY home gym and push your limits alongside a bunch of sweaty strangers. The good news is that any self-consciousness you may feel during your first group exercise class will fade away with time, as you begin to focus more on your form and less on others’ wandering eyes. Who knows, after the third or fourth group fitness class, you might have even made some new friends! At PumpFit Club in Fort Lauderdale, we’re all about bringing people together for a good workout, no matter where they are on their fitness journey. As personal trainers, we’ve been on the other side of things and know exactly how you might feel jumping into a group exercise class for the first time. 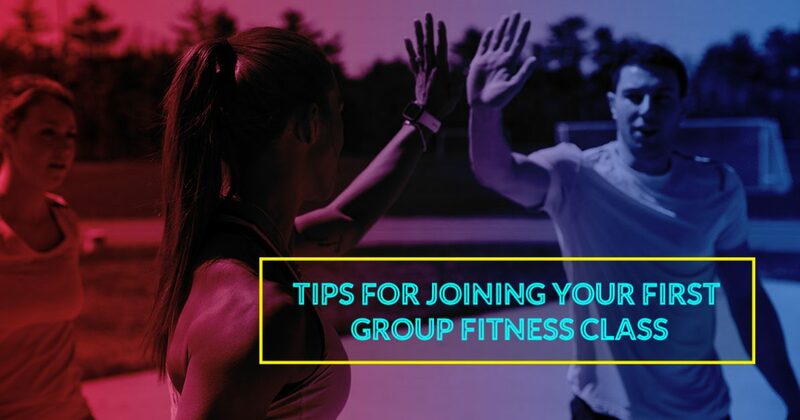 Speaking from experience, we’re here to reassure you that working out in a group is one of the best things you can do, so here are a few tips to help you get the most out of your first group workout. Nerves stem from uncertainty, so make sure you know what you’re signing up for before you show up at the gym for a HIIT training course in sweats. Not that this is necessarily wrong, but HIIT workouts consist of a bunch of quick bursts of pushups, burpees, lunges, and other exercises that get your blood pumping, so you don’t want to feel overheated or held back by hot, baggy clothing. The same goes for equipment — we have everything you need right here at our fitness club, so don’t worry about lugging in your yoga mat, exercise bands, dumbbells, and other workout equipment. Just throw a water bottle, face towel, and some lightweight workout clothes in your gym bag, and call it good! It’s natural to be self-conscious in a group fitness class if you feel others’ eyes on you, but this isn’t necessarily a bad thing. Odds are, you aren’t the only newbie in the room and someone else is just looking at your form as an example of what they should be doing. Try your best to ignore this and hone in on the personal trainer or fitness coach who is teaching the group workout class so you get what you came for. Arguably, the hardest thing about joining a group exercise class is learning to focus on yourself, but this will come more easily once you’ve gone a handful of times. One of the best things about group workouts is the friendships that are formed from accomplishing your fitness goals together. There’s nothing quite like making friends in your group fitness class and hyping one another up until you blow past your goals. Whether your aim is to lose weight, bulk up, or tone down, sharing your success with others is one of the best motivators in the fitness world. Feeling a little more prepared for your first group workout? Join us today at the PumpFit Club in Fort Lauderdale or sign up online! With tons of different group fitness classes and weekly workouts to choose from, we are confident that you will find exactly what you’re looking for at our fitness club. See you soon!